Another San Diego Comic-Con has come and gone, with all of the stress and crowds that implies. I was there, in person, seeing all the things so you didn’t have to. Before I left, I felt as though I were making a sacrifice on the part of the reading public of Salt Lake City by going to report, but to be honest, by the time I got there, I was having a great time. For now, let’s ignore the crowds and the air-conditioned darkness of Hall H and take a look at three things that stood out that you should be on the lookout for. First and foremost, one of the most buzzed-about announcements made was from Warner Bros.: The next Superman movie will feature Batman. Who that Batman is and why he’d be in the Superman movie is anyone’s guess, but it has a lot of people buzzing with excitement. Zack Snyder, director of Man of Steel, made the announcement and flashed an image combining the Superman and Batman logos—with little indication of what the story will be about. If you’re interested in the comic-book relationship of Batman and Superman, I’d suggest reading the story arc Superman/Batman: Public Enemies. It tells the tale of the pair on the run from President Lex Luthor. It’s one of my favorites. The next-biggest tease might have been when Fox rolled out nearly every cast member from the X-Men movies, new and old, to show footage from next year’s sequel to X-Men: First Class, Days of Future Past, and to talk to fans about the franchise. 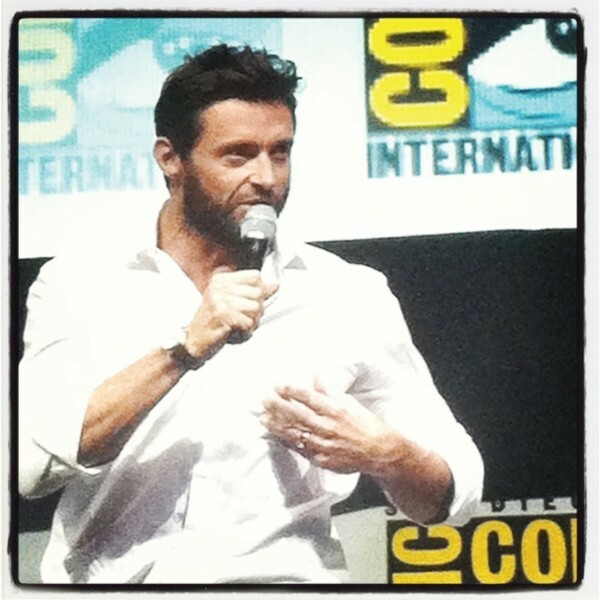 Ian McKellan spent time hitting on Michael Fassbender; James McAvoy admitted the shameful secret that Gambit was his favorite X-Man; and everyone seemed shocked that three Oscar-winning actresses were up there on the stage in Hall H (Anna Paquin, Halle Berry and Jennifer Lawrence, for those keeping score). The footage they showed brought tears to my eyes. The movie, which is teased in the closing credits of The Wolverine, seeks to bridge the original X-Men films with the First Class films and bring us an original take on one of the single best stories the X-Men comics have ever given us. If you haven’t read it, don’t sweat it; many haven’t. But go ahead and pick up a copy of X-Men: Days of Future Past by Chris Claremont and John Byrne if you want to know why geeks like me are so excited for Bryan Singer’s official directorial return to the X-Universe. Perhaps the most amazing thing I saw at Comic-Con—aside from meeting the 11th Doctor, Matt Smith, and interviewing Nick Frost and Simon Pegg for The World’s End—was the Disney/Marvel presentation in Hall H. Tom Hiddleston, dressed in full Loki costume, delivered a monologue in character before brand-new footage from Thor: The Dark World was rolled. You can find the video on YouTube, and I suggest you look it up immediately. And how could they top that but bring out the cast of Captain America: The Winter Soldier and show footage from that? Then, they did the same thing with the cast and crew of Guardians of the Galaxy. And just when we thought the panel was over, Joss Whedon showed up to deliver an expertly produced trailer revealing the name of the next Avengers film: Avengers: Age of Ultron. Each of these projects has a corresponding graphic novel you should race out and get right now. For as much complaining I do that Comic-Con has lost its way and actual comics have fallen by the wayside, all the best and biggest stuff I saw there may very well get people reading new comics. And I suppose that’s not something I should complain about. Big Shiny Robot! Big Shiny Robot!